An assembly line for engine blocks for Volvo trucks is seen at the Linamar factory in Arden, N.C. 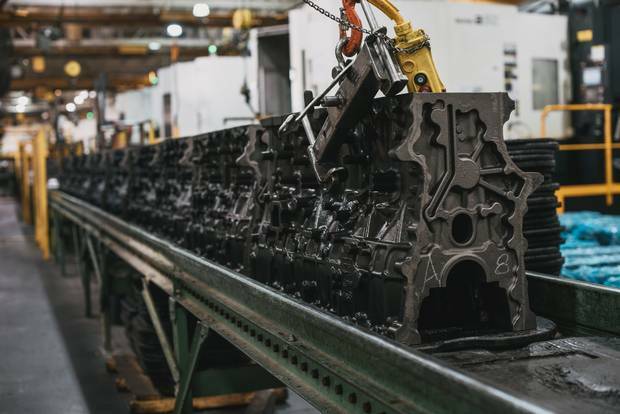 The engine blocks creeping along the line at the Linamar Corp. plant in Arden, N.C., provide a cast-iron example of how the North American free-trade agreement has created an integrated economic ecosystem. Blocks weighing 317 kilograms arrive by truck from Mexico at the factory in southwestern North Carolina, where the thump and hum of 13 machining and drilling processes prepare them for shipment to Hagerstown, Md., for installation in heavy-duty trucks made by Sweden-based AB Volvo. "We get the blocks from Mexico because of NAFTA," plant manager Thomas Grein says. 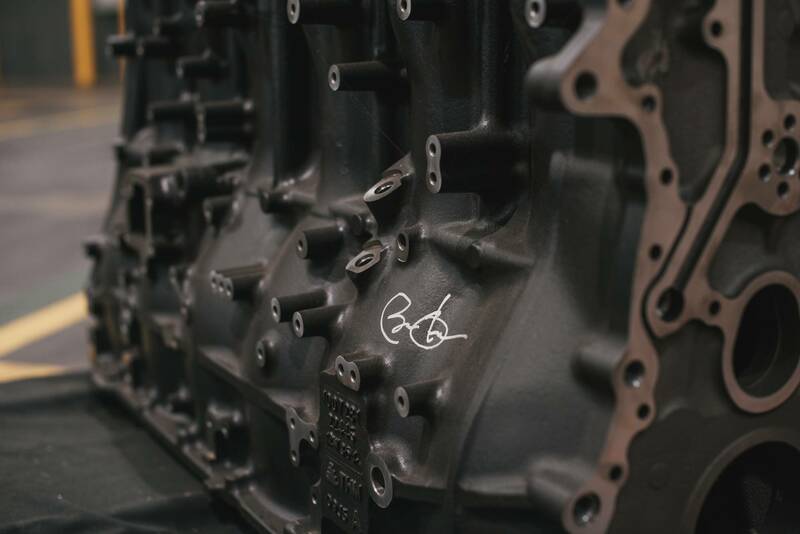 Engine block LNC 1300694, which bears the signature of former U.S. president Barack Obama, did not make the final leg of the journey along the continental assembly line. Instead, it sits on the floor of the Canadian-owned factory – a memento of Mr. Obama's visit to Linamar North Carolina in 2013 and a symbol of an outward-looking United States that was seeking to expand global trade. That signed engine block is also a potent reminder that current U.S. President Donald Trump rejects the idea of expanding global trade. Mr. Trump has turned the country inward by pulling the United States out of the Trans-Pacific Partnership and has promised on several occasions to retrench even further by tearing up NAFTA. Those threats have energized the federal government and provincial premiers, leading to a flood of Canadian politicians to Washington and state capitals. But there's a secret weapon – Canada Inc., the country's manufacturing and resources giants and other companies that are significant employers in a multitude of U.S. congressional districts in more than one-third of the 50 states. Many of them are the largest private-sector employers in their districts or dominate a local economy. Their investments give these members of corporate Canada the influence and opportunity to echo the argument federal and provincial politicians are making in Washington and state capitals – that significant changes to NAFTA could affect U.S. jobs in cities and towns from Georgia to Michigan to Alaska. If those arguments can convince enough state politicians that their own interests will be harmed, Canada could emerge from the NAFTA renegotiations relatively unscathed. 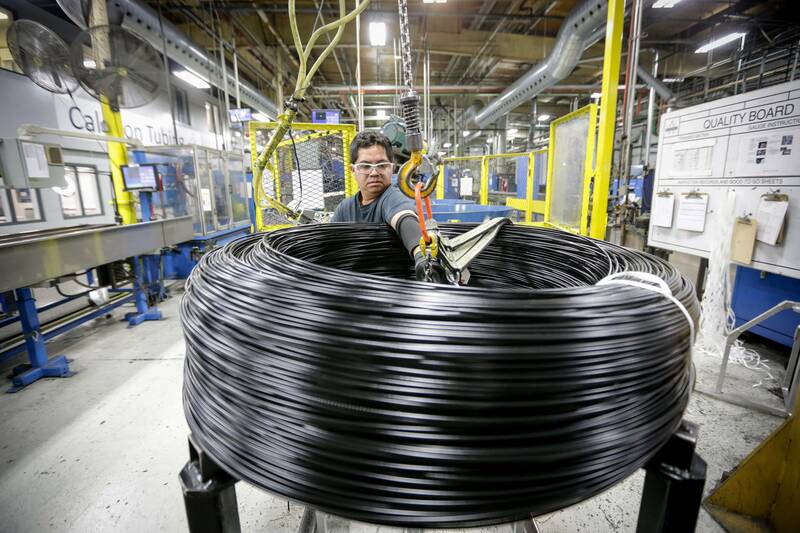 The politics and the economics of NAFTA converge in this corner of the Carolinas, which is dominated by the Great Smoky Mountains and is the site of a Canadian manufacturing insurgency whose health depends on a smoothly functioning trade system. In the 11th congressional district of North Carolina, Linamar and two other Canadian multinationals are large employers and, in the case of Linamar, growing. Across the state line, bordering on the North Carolina 11th, the third district of South Carolina is home to a Magna International Inc. plant with 1,200 employees. The future of NAFTA will be meted out at the negotiating table beginning late this summer now that Mr. Trump has officially notified Canada and Mexico that he wants a new deal. He has publicly excoriated companies for shifting jobs to Mexico and appears to believe that renegotiating the trade deal and imposing a border tax will repatriate those jobs. But Canadian companies such as Linamar in the suburbs of Asheville; recreational vehicle maker BRP Inc. in the mountain town of Spruce Pine; and textiles giant Gildan Activewear Inc. along the Interstate 40 corridor; are located in the United States largely because of NAFTA. That presence gives the companies the clout to urge Representative Mark Meadows and North Carolina's senators to vote against substantial changes to the agreement. "The government of Canada has been leaning on industries to do more," says Laura Dawson, director of the Canada Institute of the Woodrow Wilson International Center for Scholars in Washington. "We really need to see Canadian businesses in particular going into Gary, Ind., into Buffalo, to Seattle, all the border communities, and reminding folks in their home districts that Canadian trade is important – the Canadian economic relationship is vital to your livelihood," Ms. Dawson told a NAFTA discussion panel presented by The Globe and Mail last month. Some of the companies are lobbying local members of the House of Representatives and the Senate to make sure changes to NAFTA don't disrupt their operations or supply chains, or indeed, the U.S. economy on a scale similar to the turmoil blamed on the original 1993 agreement. Linda Hasenfratz, chief executive officer of Guelph, Ont.-based Linamar, has started at the top, making the pro-NAFTA case directly to Mr. Trump at a meeting at the White House in February. Ms. Hasenfratz sat across the table from the President as Canada and the United States established a joint council for the advancement of female entrepreneurs and business leaders. The question of NAFTA's future arose during the discussion, she says, including how Canadian innovation is benefiting consumers in all three countries and why it's vital to preserve seamless collaboration in the continent's auto sector. One of her fears is that a renegotiation of NAFTA will lead to added cost that will make North America uncompetitive against Europe and Asia. Increased costs on a North American vehicle "will follow the consumer and the consumer stops buying and we make less cars and that's a hell of a lot less jobs across the board," she says. "That doesn't help anybody." The North Carolina 11th occupies a picturesque, waterfall-sprinkled corner of the Tar Heel State, with Tennessee on its western and northern borders and Georgia and South Carolina to the south. It's bisected by the Blue Ridge Parkway, which bills itself as "America's Favorite Drive" and lives up to that reputation with stunning mountain vistas before the Depression-era make-work project terminates near Great Smoky Mountains National Park in the northwest corner of the district. Linamar's Mr. Grein finds the southern climate and lifestyle much more appealing than in New York, where he spent his student days at New York State University in Oswego, N.Y., which was pounded with snow every winter while he was earning his industrial science degree. "If I were to be interviewing someone to move from Detroit to here, I could probably do that a lot easier than flipping it," he says. Thomas Grein, plant manager at the Linamar factory in Arden, N.C. The largely rural district delivered an overwhelming plurality to Mr. Trump in the 2016 election. He won every county except Buncombe, which includes many of the suburbs of the traditional Democratic bastion of Asheville, the heart of which was gerrymandered out of the district, making it one of the safest Republican congressional seats in the country. In rural Graham County, perched in the mountains up against the Tennessee border, Mr. Trump captured 80 per cent of the vote. In the extreme southwest corner of the district, he won 77 per cent of the vote in Cherokee County. The margins of victory in all the counties he won far exceeded his 3.8-per-cent statewide defeat of Hillary Clinton. Some of that support came as a result of Mr. Trump's stated position that NAFTA is one of the worst trade deals ever made and that it bears the blame for declines in the textile and furniture industries that dominated the economy of this part of North Carolina – and elsewhere in the state – for generations. "You have a community that can point and say, 'Here's a big negative cost that we're bearing. Okay, why?'" says Sean Mulholland, an economics professor at Western Carolina University, located in the 11th district. "They scan the place and say, 'There's a big shock that happened, NAFTA,'" Professor Mulholland says over lunch on the university campus in Cullowhee, a winding, leafy, one-hour drive west of Asheville that takes travellers past Old Grouch's Real Military Surplus and billboards extolling the virtues of Hazelwood Gun & Tactical. But there were also huge productivity gains in manufacturing that coincided with the first few years of NAFTA, adds Edward Lopez, another Western Carolina economics professor. That makes it hard to determine to what degree the trade deal can be blamed for local job losses. It's also important to note, Prof. Lopez adds, that trade was vital to the creation of the local manufacturing sector in the first place. "We wouldn't be the economy we are without international trade – moving from agricultural to manufacturing – and the same is true as we transition from manufacturing to more service and knowledge-based jobs," he said. Data from Mexico's Economic Secretariat underline that statement. North Carolina's largest and second-largest export markets in 2016 were Canada and Mexico, which soaked up 31.2 per cent of the state's total exports. Compared with other congressional districts across the country, the North Carolina 11th fared relatively well in terms of job losses caused by the U.S. trade deficit with Mexico, according to a study by the Economic Policy Institute, a Washington-based think tank that examines the impact of economic trends on working Americans. The district ranked 256th out of 437 in jobs displaced, the study showed. Ten Michigan congressional districts were in the top 20 in terms of numbers of jobs lost. Four of those Michigan districts voted for Mr. Trump, making a strong contribution to his pivotal win in that traditionally Democratic stronghold. But plant closings are amplified in the small towns that dominate the North Carolina 11th. Many of those were typically home to a single large manufacturer. Whether the closings were caused by NAFTA, increased productivity, automation, the rise of China or the other global forces that transformed the U.S. economy in the 1990s and 2000s, the trade agreement gets the blame. In Andrews, population 1,762 in 2014, the shutdown of the VF Jeanswear plant in 2002 – caused by a shift in jobs to Mexico – vaporized about 500 jobs at the biggest employer in the town and in Cherokee County. "It was terrible," recalls Joe Gibson, who started work at the maker of Lee and GWG jeans in 1979 and was plant manager when it closed. "We drew people from three counties. It took a toll on all the small towns," Mr. Gibson said. He recalls his father-in-law telling a story about how the plant that became VF Jeanswear was lured to Andrews in the first place in the 1950s. Employed people throughout the area donated 25 cents (U.S.) from every paycheque to help the town buy 50 acres of land that were offered to a company that built a hosiery factory. In its fight to save the North American free-trade agreement, Canada may have an ally in one of the most right-wing figures in Congress. Representative Mark Meadows met this spring with Ambassador David MacNaughton, Canada’s primary emissary to the United States, and said he took Ottawa’s message to the Trump administration. “We love our Canadians!” Mr. Meadows exclaimed when asked about NAFTA. Later in the conversation, he spontaneously burst into a rendition of O Canada. As chairman of the House Freedom Caucus, Mr. Meadows enjoys outsized influence in Washington. His band of conservative ideological purists are a powerful faction in the Republican Party – winning them over played a significant role in getting the GOP’s health care bill through the House in May. Mr. Meadows and his cohorts are free-market, free-trade purists – a position that puts them closer to Canada’s and Mexico’s positions in NAFTA talks than the protectionist view espoused by some members of the Trump administration. And the North Carolina Republican has other reasons to like Canada: Canadian auto parts maker Linamar Corp. and clothing company Gildan Activewear Inc. have plants in his 11th district in the west end of the state, both made possible by NAFTA. “I have conveyed some of those private conversations with the administration with his permission,” he said. The Canadian government has undertaken a full-court press on the trade deal, building relationships both with the administration directly and with outside politicians and business leaders whom it hopes will then apply pressure to the White House on Ottawa’s behalf. Winning over people like Mr. Meadows is particularly useful. The Canadian embassy said Mr. MacNaughton and Mr. Meadows were on the same page in the desire to use NAFTA talks to make trade freer. “Ambassador MacNaughton and Rep. Meadows agreed that a modernized NAFTA must reduce trade barriers between our countries and enhance the ability of North America to compete with the rest of the world,” the ambassador’s spokeswoman, Christine Constantin, wrote in an e-mail. Mr. Meadows also played down the harsh rhetoric on trade that sometimes emanates from the White House. Despite the tough, protectionist talk, Mr. Meadows said his discussions with the Trump administration have convinced him that there will only be small changes to NAFTA. Mr. Meadows was keen to emphasize his Canadian connections, saying he used to invest frequently in energy companies north of the border before he was elected to Congress – and he even has a family tie to the Great White North. -Adrian Morrow in Washington, D.C. 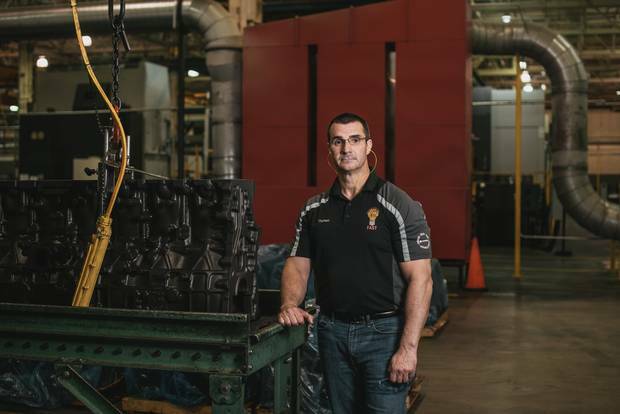 There is still manufacturing in some of the small towns of the 11th district, including Spruce Pine, where BRP, maker of Ski-Doos, Sea-Doos, all-terrain vehicles and motorcyles, operates a foundry that employs 150 people making parts that go in Evinrude boat engines. Any trade moves that reduce jobs "would be a negative, that's for sure," says Darla Harding, mayor of the town, which has a population of 2,123. "We're a rural area with a population of about 2,000, so the job aspect of that [plant] is very important to this area," Ms. Harding said. If any Canadian manufacturer has an interest in making sure that the status quo remains in place it's BRP, the company now manufacturing a product invented by Quebec entrepreneur Joseph-Armand Bombardier and still controlled by his descendants. BRP, which is based in Valcourt, Que., operates two assembly plants in Chihuahua, Mexico and an engine and transmission facility in Queretaro. "The big dark cloud above our heads is everything related to NAFTA," chief financial officer Sebastien Martel said on the company's third-quarter financial results conference call in December, shortly after Mr. Trump was elected. On the same call, however, Mr. Martel noted that the financial impact of slapping tariffs on products built in Mexico would be slight – between $20-million (Canadian) and $25-million on $1-billion worth of transactions. Making plants more efficient, passing on costs to suppliers and increasing prices would be ways of addressing those added costs, he said. On the company's fiscal year-end results call in March, CEO Jose Boisjoli said the company is optimistic that economic measures Mr. Trump is considering are designed to create economic growth, which would help BRP. On June 1, BRP underlined its confidence that NAFTA will not be dismembered by saying it will invest $25-million in its Mexican operations to reduce bottlenecks. The company did not respond to requests for comment on what lobbying efforts it is undertaking in regard to NAFTA. In Hildebran, on the eastern edge of the 11th district, 205 people owe their jobs at Peds Legwear to Montreal-based Richelieu Group, which bought assets from a struggling textile company and won a contract to sell socks to Wal-Mart. It's now part of the Gildan global manufacturing footprint, after Montreal-based Gildan took over Peds Legwear in 2016. Senior executives of Gildan say they think the company's presence in several low-cost countries and trade agreements between Canada and those countries will insulate the Montreal-based company from any major changes that might happen to NAFTA. "One day they're renegotiating, one day they're tweaking," CEO Glenn Chamandy said of the Trump administration's public broadsides about NAFTA. "At the end of the day, it's a little bit out of our control." Gildan is not hiring lobbyists in Washington because it's not worried about the outcome of the negotiations, Mr. Chamandy added. Gears at the Linamar factory in Arden, N.C.
Linamar's Ms. Hasenfratz says her position as chair of the Business Council of Canada gives her access to members of Mr. Trump's cabinet, while auto industry organizations such as the Motor and Equipment Manufacturers Association lobby members of the House and Senate. She and other members of the Council met with U.S. Commerce Secretary Wilbur Ross earlier this month in Washington. While Linamar lobbies, it's also doubling down in the 11th district. 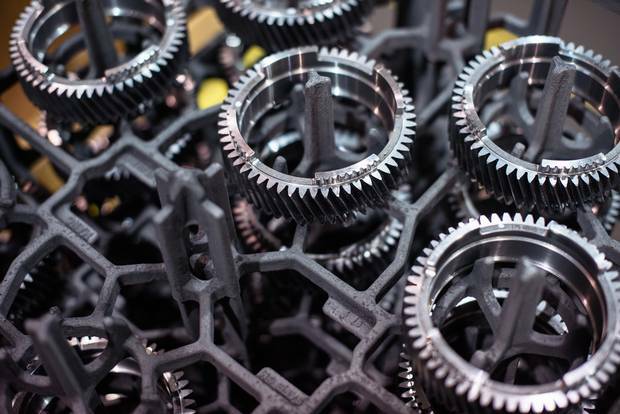 The engine-block plant and an adjoining factory that makes gears and other engine and transmission parts employ 215 people and are hiring more. The company is also building a new plant just southwest of Asheville in Mills River. The Canadian company and joint venture partner Georg Fischer AG of Switzerland are spending $200-million (U.S.) to build an aluminum casting plant that will eventually employ 350 people. Aurora, Ont.-based Magna, which is Canada's largest auto parts maker, operates in 11 states and also has 30 plants and 28,000 employees in Mexico. The company is working hard to make sure U.S. governors and state representatives are well aware of its sprawling presence. Misti Rice, Magna's director of government affairs, says her No. 1 priority is to educate politicians in those states about the company's activities. Ms. Rice has met with all but two of the 11 governors – all of whom are Republican – and has invited 51 members of the House and Senate to tour Magna facilities located in their districts and states. She has visited South Carolina, where Governor Henry McMaster was one of the first U.S. politicians to endorse Mr. Trump's candidacy for the presidency, five times in four months. "There's a very tight relationship there and South Carolina is very important to us," Ms. Rice says. Magna has three factories in South Carolina and is constructing a fourth in the state to supply BMW of North America Inc., whose Spartanburg, S.C., assembly plant is less than an hour's drive from the southern edge of the North Carolina 11th. A plant operated by Magna's Cosma metal forming division is located in Piedmont, which is in South Carolina's 3rd congressional district, represented in the House of Representatives by Republican Jeff Duncan, whom Ms. Rice met with in May. When she has finished what she calls the education phase of her meetings with politicians, she will turn to an advocacy campaign. At some U.S. plants, she notes, Magna has added several hundred jobs because of NAFTA. "Any kind of radical changes [to NAFTA] are inevitably going to change how we do business, which could negatively impact how we operate," she says. "We're a very nimble company and adjust to any changes, but there could be a cost to that." North Carolina was not on the list of states being visited by federal cabinet ministers as part of Canada's lobbying blitz, even though annual two-way trade between the state and Canada totals more than $10-billion (Canadian). But given the investment by Canadian companies in the 11th district and elsewhere in the state – and local politics – it would be a good place to make the case for NAFTA, says Chris Cooper, who heads the faculty of political science and public affairs at Western Carolina University. Prof. Cooper points to Mr. Meadows, who has represented the 11th since first being elected in November, 2012, and is now the head of the Republican Party's Freedom Caucus in the House. "From a Canadian lobbying perspective, I think it is a smart move," Prof. Cooper says. "In a way, he is the perfect person to make this argument to. If he's in a competitive district where people are anti-NAFTA, he doesn't have any room to move, but he's in an overwhelmingly Republican district where if something catastrophic doesn't happen, he'll be re-elected." Mr. Meadows has already engaged in a public battle with Mr. Trump over health care and Prof. Cooper notes that he has much better access to the President than a third-term congressman from a mainly rural district in North Carolina would normally be expected to have. The Congressman told The Globe that he has not heard from the Canadian companies with big operations in his district. "But I've talked to the Canadian ambassador at length, had a great conversation with the Canadian ambassador about our mutual interests and I believe that we'll find some common ground." Back at the Linamar plant, Jeff Brower takes a moment from working on a gear assembly line to recall Mr. Obama's visit and the opportunity he had to speak with the former president on the importance of education. Nonetheless, Mr. Brower cast his vote for Mr. Trump last November in Leicester, just northwest of Asheville. He's well aware of the trade links that are vital to the future of the Linamar facility, but believes that Mr. Trump's most extreme comments on the deal don't represent the path U.S. negotiators will take. "It's kind of hard to stomp on all that," he says, adding a thought that seems to be driving much of the thinking on the issue in corporate Canada: "I know he's made a lot of promises he's not going to uphold." With files from Nicolas Van Praet in Montreal, Adrian Morrow in Washington and Josh O'Kane in Toronto. Tough trade: What Canada can learn from NAFTA’s flaws From losing ground in the U.S. market to missing export opportunities, Canada’s NAFTA experience will help shape the coming overhaul of the historic trade agreement. 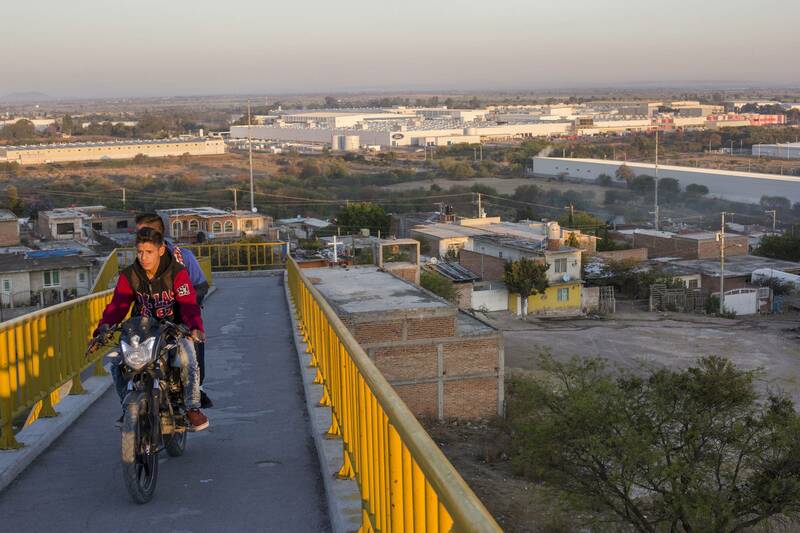 As NAFTA negotiations loom, Mexico faces a pivotal moment NAFTA has helped Mexico become an export powerhouse, albeit one where poverty remains endemic. But as Stephanie Nolen reports, changes to the deal could also have destabilizing political consequences for the country. Where NAFTA’s a dirty word In a Tennessee town, Joanna Slater finds deep resentment at the changes NAFTA has brought – and deep doubts, as well, that there is any going back to the world as it used to be.